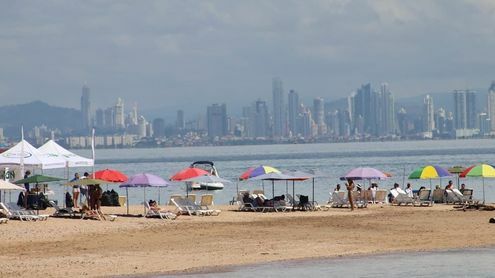 The Panama Hotel Association (Apatel) is calling for more economic resources for the International Tourism Promotion Fund, which has a budget of $20 million a year a figure well below that spent by other countries in the region. During the act of taking office as re-elected president of the Board of Directors of the Association Armando Rodríguez, said that other countries invest between $40 million to $100 million on their international promotion. Last year the Panamanian president, Juan Carlos Varela, signed the internal regulations of the Promotion Fund, whose annual budget is $20 million. From August to December 2018, the Fund disposed of $8 million dollars, and the remaining $12 million will be received from January to July of this year, according to official information. The trust funds created by law are used to promote Panama abroad through public and private management that has contributions from the central government, municipalities and private companies. For the hospitality industry, Rodríguez said that Apatel will encourage three pillars, - raising tourism as a State policy, promoting the Capital of the Tourism Promotion Fund and achieving more training of human resources. In a statement to Acan-Efe that he expects hotel occupation to grow 3% in 2019. At the end of 2018 it was around 40 percent. The administrator of the Tourism Authority (ATP), Gustavo Him said that the country has intensified with the international promotion campaigns in the key markets of North America, South America, and Europe. But observers familiar with tourism promotion say that the money spent is minuscule compared to other countries. According to figures from the ATP, in the period from January to September last year 1,821,657 visitors arrived in the country, w a decrease of 2.8 percent compared to the same period in 2017, that is, 52,206 fewer people. Tourism represents around 10 percent of the gross domestic product (GDP) of Panama, one of the most dynamic countries in the region, which in 2017 experienced economic growth of 5.4 percent. Spending more money may in fact bring more people to visit one time. As Karl mentioned, bad food, poor service and an unhealthy environment are certainly distractions. What will certainly keep them from returning is the broken glass on the beaches, along with the trash strewn streets which make the entire country look like the slums of a big city. The sad part is that this is not an expensive problem to cure as it resides in the mind of the citizens who have been trashing the country forever. It is going to require a change in attitude of people probably precipitated by large fines and other penalties when people are caught not properly disposing of trash. I'm rooting for you Panama you can do it, but it starts with the citizens. The beautifully natural beaches in addition to the mountains and culture would be enough to draw people from all over the world. The trick is to make them come back. Panamá is a wonderful country with many unique and wonderful features. It is unfortunate that Karl’s criticism is so harshly worded. However, even more unfortunate is that some of his criticism is true. Regardless of how alluring and effective international tourism promotion becomes, it is the reality of what tourists experience here and their reporting of that once they return home that matters. Tourists react negatively to travel along trash-strewn thoroughfares, especially if the destination is also littered with trash. Money spent on eliminating littering benefits tourism directly, and it has benefits for us as well. People will continue to come here to see The Canal, but they will not stay on if the rest of the environment is unsightly and unpleasant to be in. The tourist industry as a whole, including those hoteliers calling for more funding for international advertising, needs to broaden its view of what attracts tourists. So bad food, service and trash strewn streets will be promoted? Hot sticky dengue fever infested city? filthy beaches with broken glass bottles everywhere. Panama is not a place to vacation! !